The pride of Frostbite Falls, Minnesota return to comics as IDW Publishing brings us Rocky & Bullwinkle #1 this March. 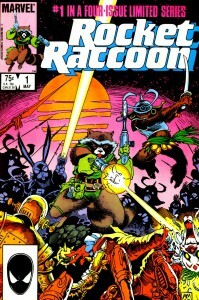 It’s the first issue of a 4-issue full-color miniseries written by Mark Evanier and illustrated by Roger Langridge. 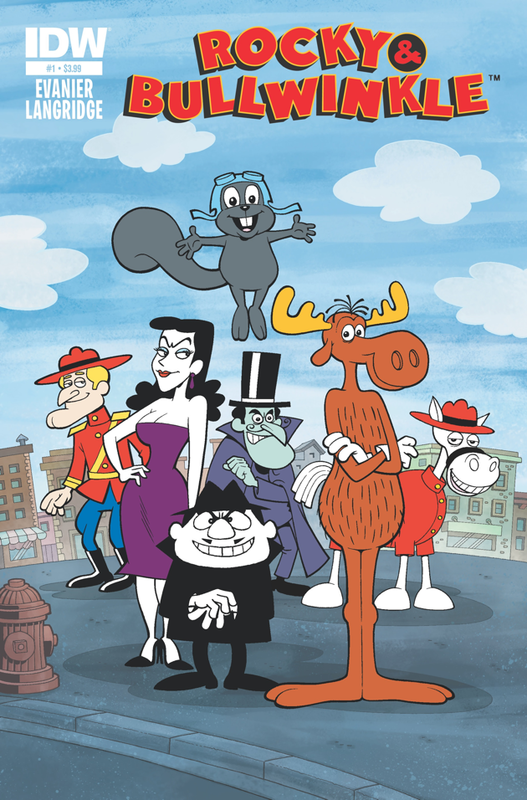 SEE Rocky and Bullwinkle try to stop Boris and Natasha from duping a wealthy philanthropist in The Psychic Sidekick! The issue also features a back-up story with the dashing Dudley Do-Right battling the the nefarious Snidely Whiplash. 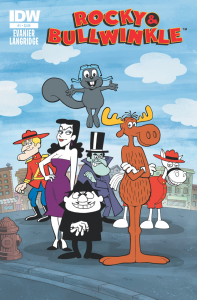 Meanwhile, also in March IDW will premiere Rocky & Bullwinkle Classics Volume 1: Star Billing. This 122-page trade paperback gathers together issues 1 – 4 of the original Gold Key Rocky & Bullwinkle comics from the 1970’s, written and illustrated by Al Kilgore. Dudley and his cohorts, as well as Mr. Peabody and Sherman, appear in back-up stories. 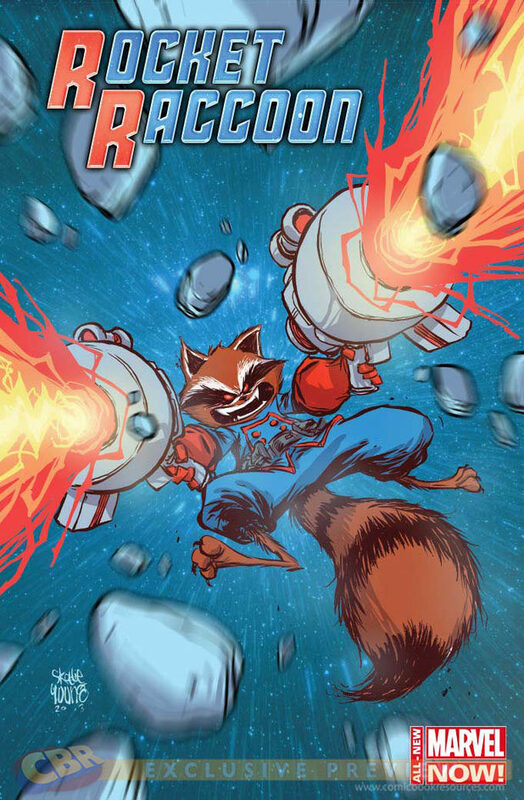 Blasting Your Way — For Free! 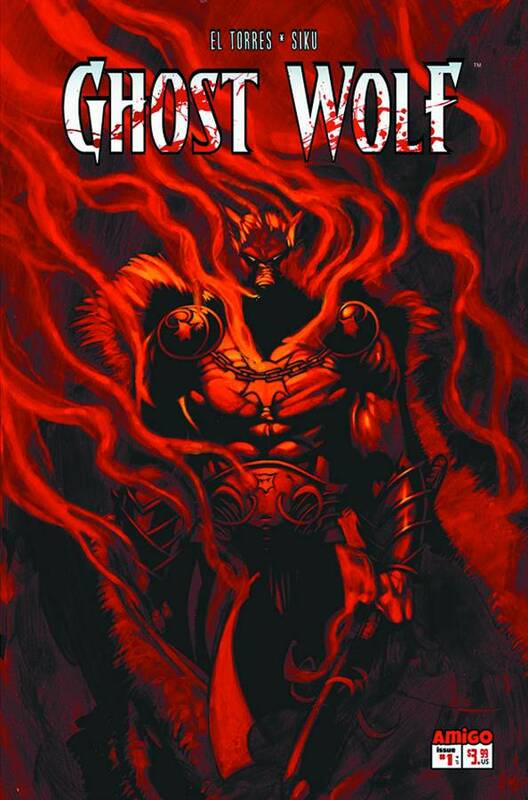 Signs of the upcoming Free Comic Book Day for 2014 are beginning to show up in Previews and other places. 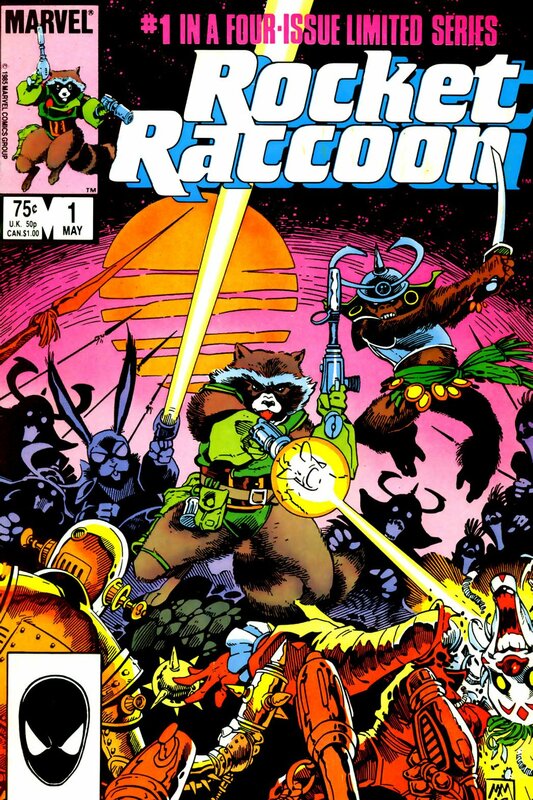 One of the furrier ones on the horizon comes from Marvel: None other than the furries’ favorite Guardian of the Galaxy (unless you’re really into trees), Rocket Raccoon. 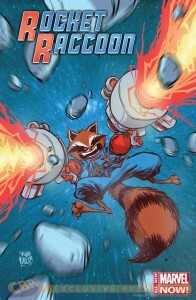 Written by Joe Caramagna and illustrated by Adam Archer (with a cover by Skottie Young), this 32-page full-color mini-comic features the power procyonid in his own space adventure in anticipation of the upcoming Guardians of the Galaxy movie this August. Digital Spy has the story. 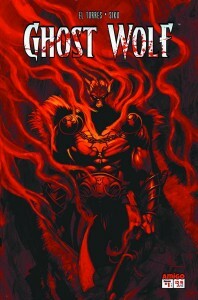 Don’t forget, Free Comic Book Day comes to a comic book shop near you on May 3rd. 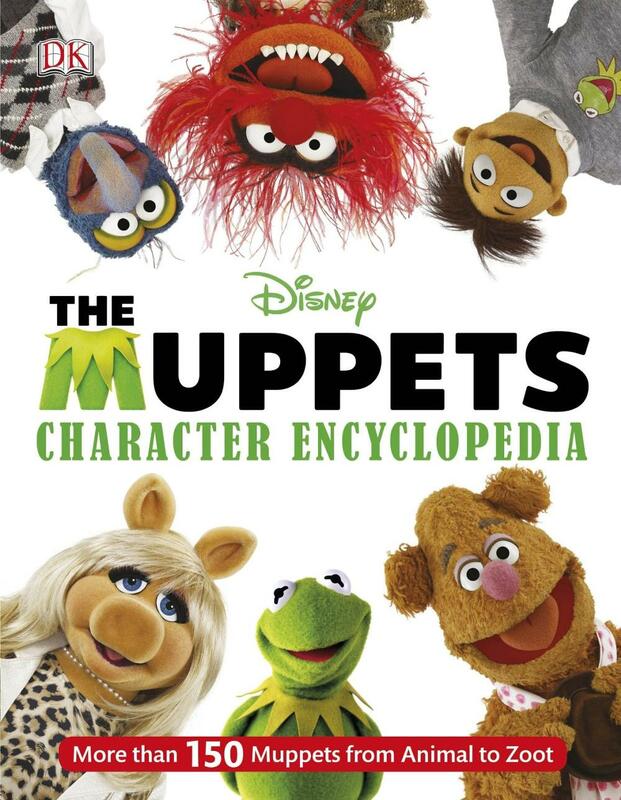 Just in time for the new Disney Muppets film Muppets Most Wanted (hitting theaters this March) comes a new tie-in book, The Muppets Character Encyclopedia. According to the Muppet Wikia, this 200-page hardcover book features entries on more than 150 Muppet characters and more than 600 full-color photographs. “The most sensational, inspirational, muppetational character encyclopedia ever! You can play the music, light the lights, and meet all your favourite characters from the Muppets in The Muppets Character Encyclopedia. From Animal to Zoot, meet over 150 of the most memorable and best-loved Muppet characters from the 1970s to the present day. It is packed with facts about Kermit, Miss Piggy, Fozzie Bear, Gonzo, The Swedish Chef, and all their wild and wacky buddies. Featuring full-colour images of each Muppets character with annotations. Fact files provide info on each character (and some little known facts), including their role in the Muppets pantheon and details of their first appearance.” It’s available now on Amazon from Dorling Kindersley Publishers Ltd. If you’ve got to get the bad news (or maybe good news if you’re lucky) about this crazy weather that we’re having, why not get it from a cute little bunny? 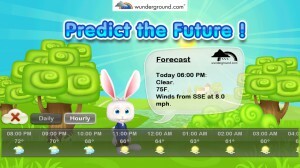 “Weather Rabbit is a unique combination of weather app and virtual pet that rewards you for keeping your rabbit happy by dressing it in different clothes to match the current weather conditions. 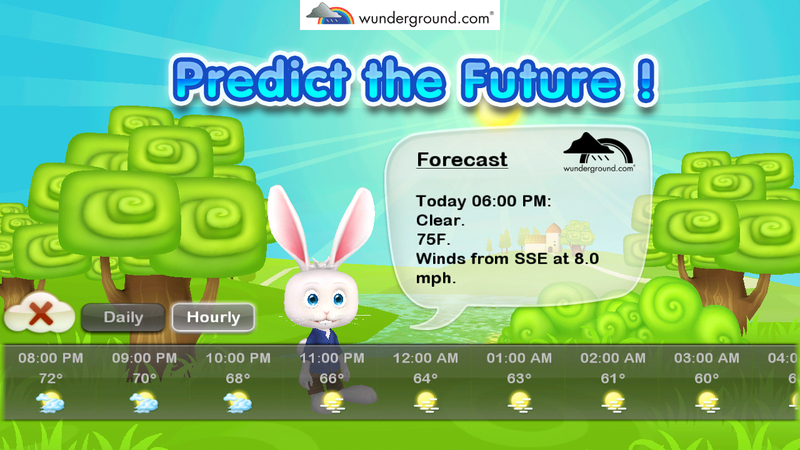 It features accurate, up-to-date, local information using your GPS and weather data sourced from Wunderground.com. You can earn new outfits for all four seasons plus more seasonally themed costumes.” This animated app (available on Google Play and The App Store) was created by Rabbx, with character design by Tracy Reynolds. 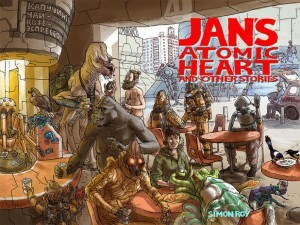 You can find it at the Rabbx web site, too. 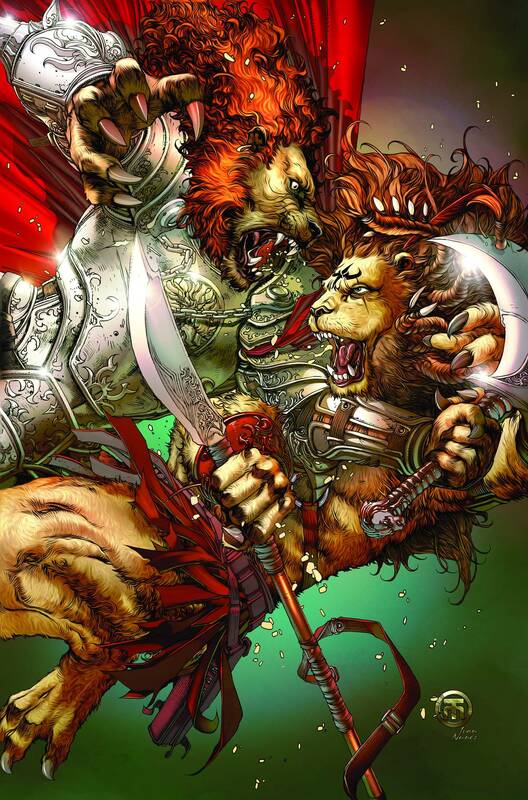 This month, with the second issue of the 5-issue mini-series Tales from Oz, Zenescope Entertainment focuses on the Oz fans’ favorite furry when Grimm Fairy Tales Presents Tales from Oz: Cowardly Lion hits the shelves. (Whew, long title!) According to the preview at Previews World: “No race in Oz is more fierce or proud than the Kavari. Their traditions go back hundreds of years and both Thane and Thorne have been born into tribal royalty as the son of the chief. Competition against each other since birth for the right to rule the tribe their rivalry reaches its climax when they both fall in love with the same woman…and must fight each other to the death to determine who will win her hand.” This full-color issue was written by Joe Brusha and illustrated by Miguel Mendonca. 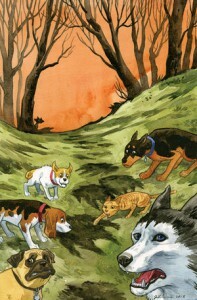 The furriest of several variant covers were created by Marat Mychaels and Harvey Tolibao.